To be successful, companies today need more bandwidth and with higher reliability than ever before. Whether you’re an SMB or a large enterprise, your business requires agile and effective connections to supplement wired network access and to provide coverage in areas that lack wired access. 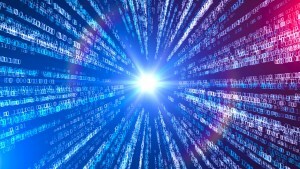 The growing need for remote cloud access, IoT, and increasingly mobile employees, means that businesses need a new foundation for building a truly ‘connected organization.’ 4G LTE and LTE-A are ideal technologies for supporting a connected organization because the solutions provide lightning-fast Internet connectivity, regardless of where connectivity is needed. While most 4G LTE business-grade solutions are multi-carrier to ensure that networks are always-on and applications are always available, carriers’ so-called ‘unlimited’ data plans leave much to be desired. The fact is, plans advertised as unlimited are, in reality, far from it. Performance in real-world conditions varies greatly, and it’s hard to know if advertised speeds are delivered consistently. Are there any usage limitations or application limitations on the data plan? Can the 4G LTE service plans be used in a router or device or just a tablet or phone? Can users run business applications like cloud-based UC, VoIP or VPN using these data plans? Is there throttling at a threshold? Let’s go over the best use-cases for 4G LTE and learn more about how to determine carriers’ unlimited data hype from reality. Great for enterprise edge connectivity – When conventional wired connections aren’t available, 4G LTE connectivity solutions provide reliable, flexible, and easy to manage connectivity solutions to support data-rich applications. Companies that have remote locations, or those in retail, food, and beverage, or others with branch networks, mobile networks, or IoT may benefit from 4G wireless. Wireless routers can also provide reliable internet for remote and temporary locations, such as fairs or events, or interactive media applications, industrial sites, and more. Putting together the right 4G LTE routers with the right data plan can also support sophisticated networks at the edge and make consistent connectivity possible for organizations of any size and nearly any application or vertical. Business continuity guaranteed – When primary wired networks go down businesses are at tremendous risk. Without backup internet in place, organizations can miss out on critical sales, miss deadlines, accrue penalties, and irritate customers – all of which can impact revenue in the short term and long term. 4G LTE plans can help customers avoid these pains and minimize risks across their organization. On top of that, 4G LTE married with the right data plans can help customers stay connected to the internet, plus provide access to VoIP applications and data networks no matter what. More flexibility to pool data – One of the primary benefits of 4G LTE for WAN network access is that it provides hugely flexible connectivity options for business customers compared with traditional wired line connections. As organizations expand their connectivity needs requiring internet access for everything from remote offices to kiosks and IoT devices, 4G LTE is the clear winner because it provides users access to a shared data pool needed to support all of these business applications in the most effective and efficient way possible. As a trusted technology partner, customers will be looking to you to answer critical questions about what 4G LTE solutions are optimal and which carriers and data plans they can trust. Luckily, you have Broad Sky Networks on your side! We offer 4G LTE options that your customers will love and that will meet their demands for connectivity across the enterprise. Contact us to learn more about why LTE is the connectivity choice for many enterprises to support data-rich applications and to provide highly reliable, flexible, and easy to manage the internet. We’ll help you understand which 4G LTE data plans are the best and show you how these plans perform in the real world. Your customers with thank you!